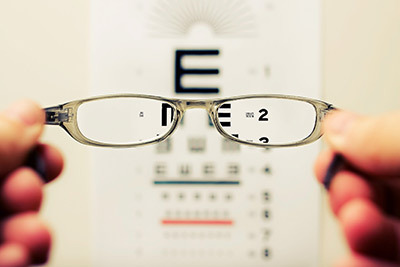 How can I target digital customer needs accurately? What challenges had to be solved and what concrete benefits did this bring? What were the concrete benefits? How can the industry 4.0 solution approach be described? What measures were taken to achieve the solution? 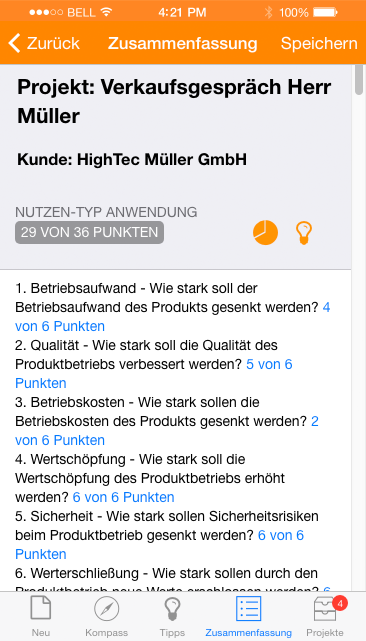 "Today we got to know the Nutzen-Kompass-App for technical sales. Topic sales of smart solutions along the purchase needs of the customer super implemented. Even on a map @plattform_i40. Many thanks"
"Keeping an eye on the new digital customer benefits was a particular concern for me when we were smartly upgrading our handling equipment and transport systems. After all, not every additional sensor automatically brings added value for the customer! 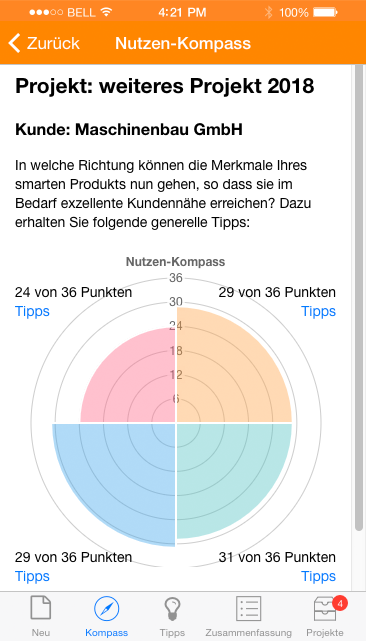 And to ensure that a possible one also becomes an actual added value, the Benefit Compass with its 24 questions and individual smart tips can be very helpful." "The app's usability is super and absolutely intuitive." 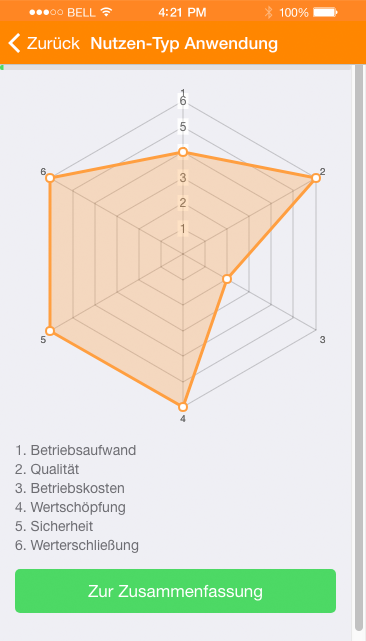 "I like the Value-Compass app because it helps me to lead the customer from need to need in a structured way." "Well-considered, clear questions enable a targeted profiling of the needs of your customers - sales conversations become more efficient." 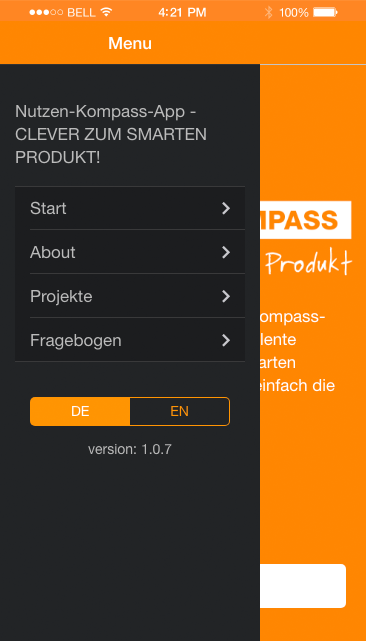 PressKit - If you want to publish something about the Value-Compass-App, here is you comfortable pick-up station. Just click! 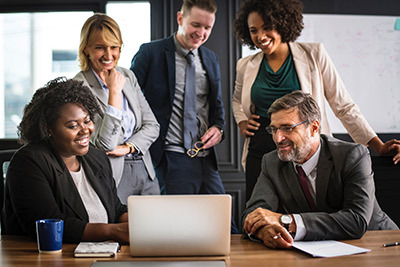 Quality Leadership 4.0 - 1 Month Free! We have already experienced several start-ups in recent years with groundbreaking innovations a la Uber. And the headlines of these former start-ups do not stop. But even established companies like Google are making wondrous headlines in foreign markets. What is the secret? How do nobodys manage to get out of nowhere and kick giants out of the race by magic? The answer sounds as banal as it is ingenious: they serve the customer needs of their target group with a completely new excellence 4.0! 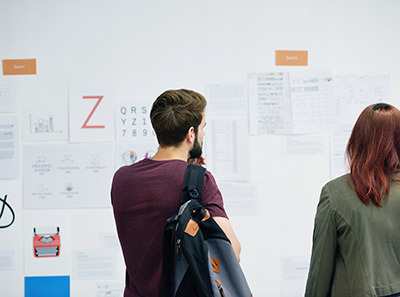 By taking advantage of sales features such as the personalized user experience or the ultimate customer service, they playfully trump competitors of old 3.0 technology. However, we must not forget that 4.0 technology enables us to meet previously unimagined customer needs. 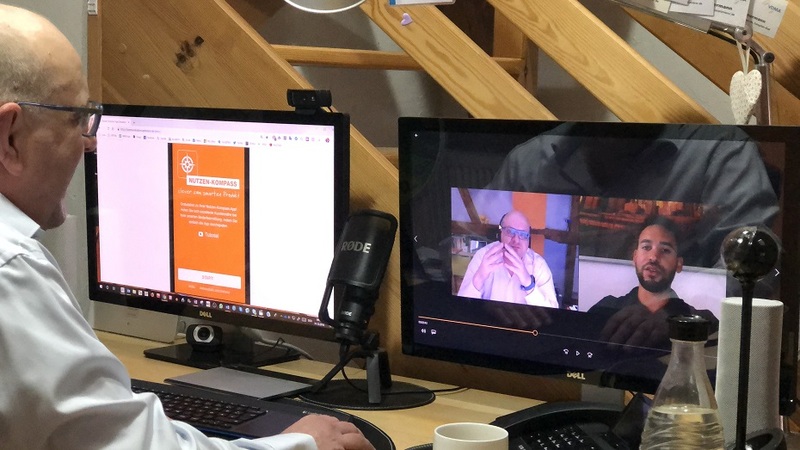 For example, a cell phone battery does not have to last longer than 10 hours - as long as the cell phone can read their thoughts (eye tracking), two hours are enough to take the butter from the bread of established technology leaders. All of this would be so easy and effortless to achieve if technical competence were not a prerequisite. For departments like design, the technical know-how may lie in the cradle, but sales has other competences that fill the working day. 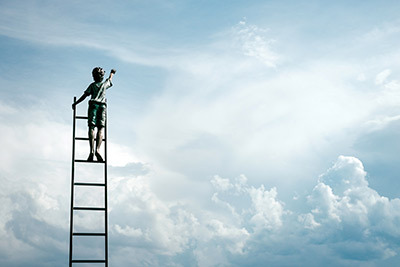 For sales people it is a painful difficulty to translate the new achievements of the products of the Fourth Industrial Revolution into benefits. This is due on the one hand to the technology itself and on the other hand to the new areas of application. Smart products have long since ceased to be used solely for the purpose of fulfilling the company's task. 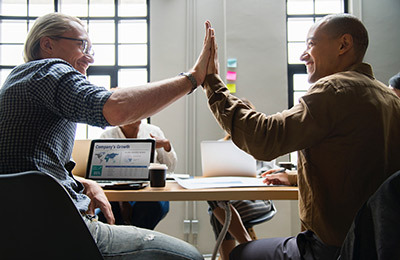 Likewise tasks of the data management, the personal service or the support of the users in their social self-realization rank to the Portfolio 4.0. The selling / SmartCoach Dipl. -Wirtsch. 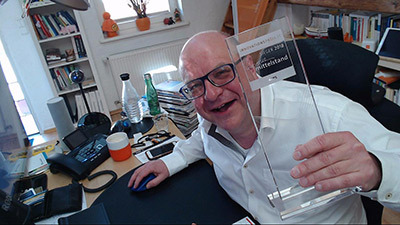 - engineer Lars Zimmermann of kommunikationsoptimierer.de set itself the goal of clearing technical Vertrieblern those difficulties completely from the way. 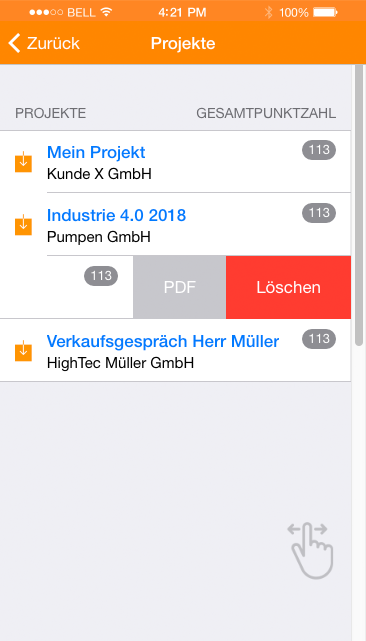 In smart way Vertriebler are to have a kind of digital assistants at their side, which helps them with the requirement determination. 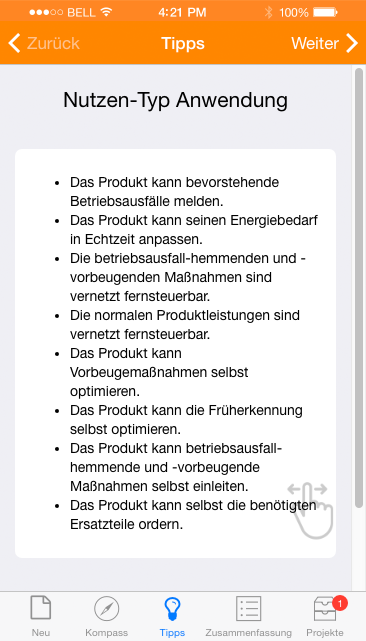 By this assistance each Vertriebler can offer still during the customer discussion a product. The company thus gains quality leadership 4.0. 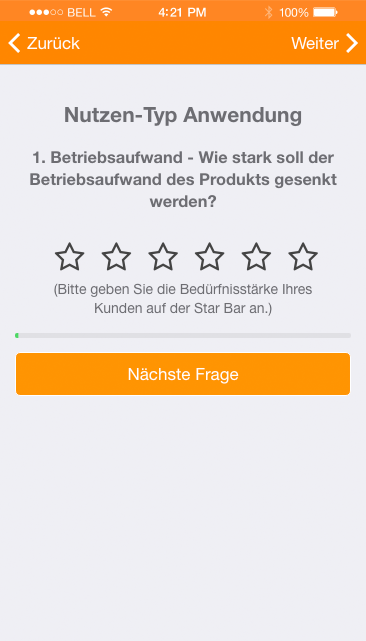 The Nutzen-Kompass app systematically analyzes the customer's needs in order to equip the product with smart USPs. The product features correspond perfectly to the customer's needs, so that the generated demand cleverly stands out from the competition. 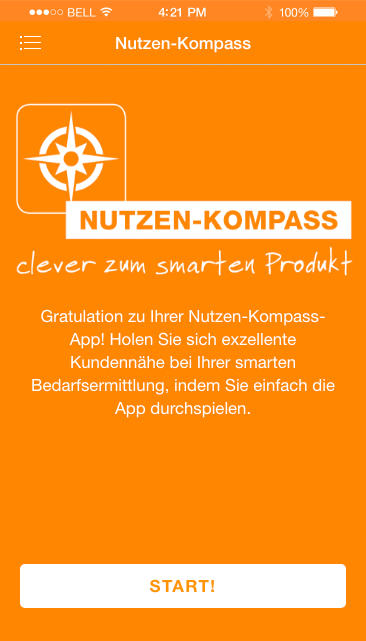 Sales people who use the Nutzen-Kompass app can look forward to three benefits: 1. The demand determined by smart shows their own company as a quality leader 4.0. 2. The determination of demand is assisted and thus ensures excellent digital expertise. 3. the margin inevitably increases and so does the negotiating power vis-à-vis customers.